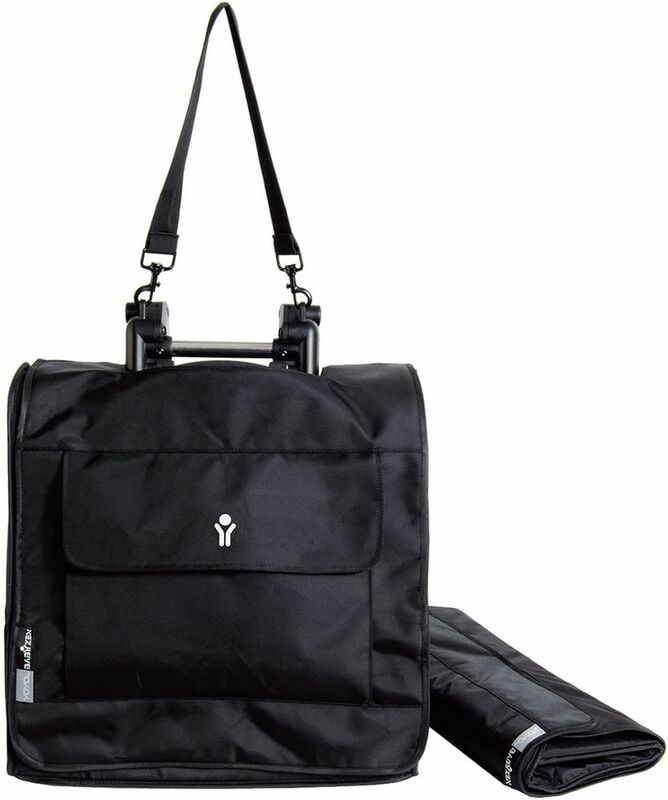 This bag is far superior to the one included with the stroller (which is more like a nylon cover). Itâ€™s great for travel and keeping the stroller near and clean when folded out while out and about. We travel frequently and this is a pretty way to keep the stroller from getting (more) dirty. Definitely not NECESSARY, but nice nonetheless. Before we took our first flight with yoyo we purchased this bag and I'm so glad we did. I heard a lot of stories when people was told that they can't take yoyo on the plane because the strollers are forbidden. But when we packed the stroller in that bag and just bring it on the shoulder inside the plane, no one told us a word. No one even thought it's the stroller. At our second flight I showed the strolle in the travel bag to flight attendant and she raised her eyes asking me to show her that this is the stroller or not, no one believed its so compact. Of course they let us take it on the plane as carry on luggage.